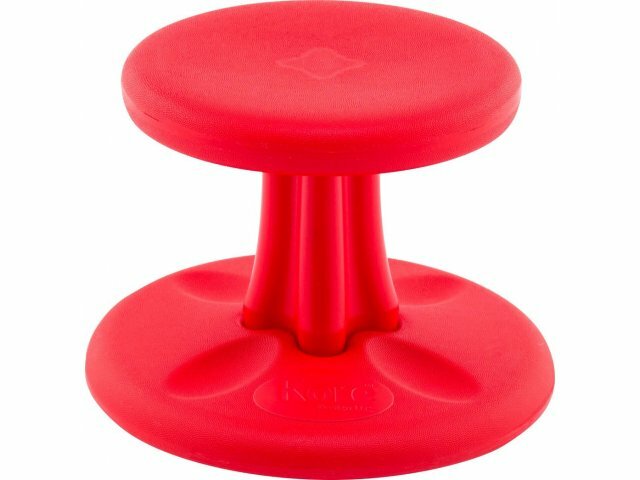 Get little ones started off right with Toddler Kore Wobble Chairs. With appropriate-height seating that promotes correct posture, children will get into the right habits from a young age. Some kids just won’t sit still - and with the Kore Wobble Chair, they never have to. The gently-rounded bottom transforms a conventional seat into a playground for your students’ imaginations. With the ability to maintain constant movement while seated in one place, homework, art projects and lessons are no longer sedentary activities. Don’t settle for regular school chairs that force children’s bodies to conform to an unnatural posture. 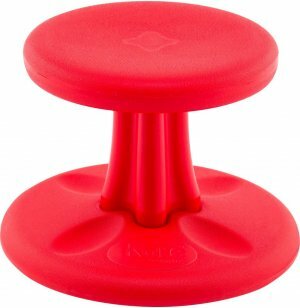 Kore Wobble Chairs keep knees, hips and backs in comfortable positions. They are the perfect outlet for kids with excess energy, allowing them to focus, balance and stay in motion all while seated in a classroom. Let Wobble Chairs transform the way your students learn and make your classes calmer, better and more productive. Antimicrobial: Made with a patent-pending, FDA approved Smart Plastic Antimicrobial that offers broad-spectrum protection and has been tested to reduce up to 99.95% of common bacteria. Built-in Protection: Antimicrobial is not sprayed on, so it can't be wiped or scraped off. Active Sitting: When students can move around in their chairs, they have an outlet for their energy while sitting in class. Vibrant Colors: Colorful choices make a good fit for any classroom. Safe Design: Kids can move around as much as they like without tipping over.